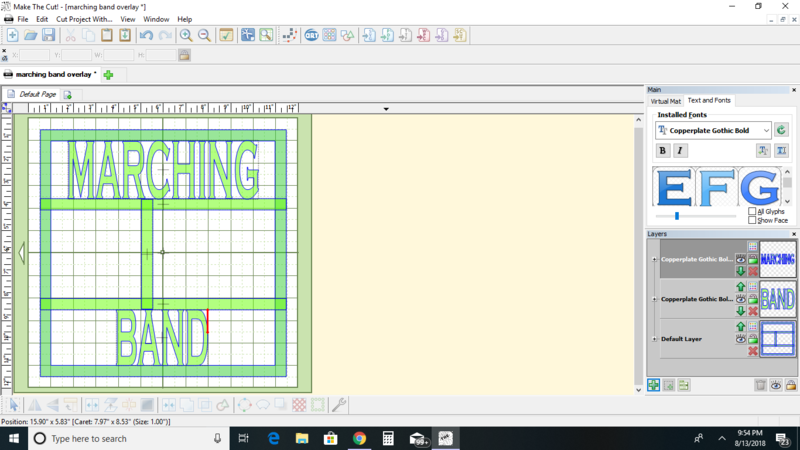 I am trying to create a 12 x 12 grid overlay..the words are in layer 2 and 3...is there a way for me to weld all 3 layers together. I can weld all the frame together in the default layer. Weld the frame and just make sure the words very slightly over lap the frame top and bottom and then weld to frame. You've lost me! Just select everything you can see on the page with your mouse with the left button held down and then weld. Make sure you weld the frame first so that you can set the words out nicely with them just overlapping the frame by a small amount. The weld icon is at the bottom of the page. Or drop the file on me via the inbox or here and either I or someone else will sort it for you. Starting in the upper left corner, outside the shapes, drag your mouse to encompass all of the pieces and then click on the Weld icon. Thank you everyone...that worked!!!! It wasn't letting me select everything before but I got it.